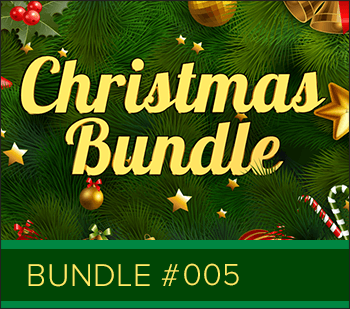 Bundle of two unique Yuletide puzzles, perfect for a festive feature. 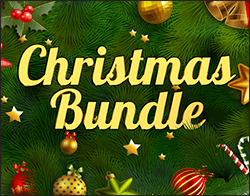 This bundle contains one wordsearch puzzle and one other word puzzle. Wordsearch Monster 0149 – Find the words hidden in the 22x22 grid; they are all about Christmas and use British English spelling. When all the words on the word list have been crossed off in the grid, the remaining letters will spell the themed solution. Wheel Words 0028 – A Christmas answer is hidden in this puzzle. The target is to create as many words of 4 letters or more, using the letters once only and always including the letter in the middle of the wheel (and the one 9-letter word which uses all letters). The 9-letter Christmas answer to this Wheel Words is SNOWFLAKE. Wheel Words are provided in colour but you may convert the eps files to greyscale and print in black and white since the colour is not essential to solving the puzzle.